April 2017 | Florida Law Advisers, P.A. 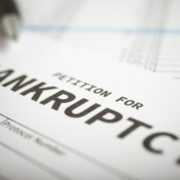 A term you will often hear, whether you file Chapter 7 or Chapter 13 bankruptcy, is “ bankruptcy exemption.” This is special protection that the Bankruptcy Code provides for a certain amount of value in your personal property. See 11 U.S.C. § 522. There are federal and state bankruptcy exemptions, and the state exemptions are different from state to state. The difference in federal and state exemptions is the dollar amount of certain pieces of property that are protected. A bankruptcy lawyer can structure your case to maximize your bankruptcy exemptions and help prevent liquidation of assets. In order to determine which bankruptcy exemptions apply to your case, first look at whether your state is an “opt-out” state. “Opt-out” means that you are required to use your state’s exemption amounts—not federal. Florida is an “opt-out” state. 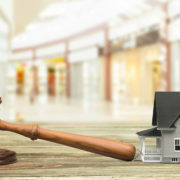 So, if you file your case in Florida, you must use Florida’s exemptions for all of your property; you do not get to pick and choose whether you use federal exemptions on some pieces of property, and Florida exemptions on other pieces. However, if your state is not an “opt-out” state, you are free to choose either federal or state exemptions to protect your property. Typically, the most important exemption—especially in Florida—is the “homestead exemption.” The Florida homestead exemption is one of the best in the nation in that it protects all of the equity in your home (meaning your house is worth more than you owe). See Fla. Const. art. X, § 4. To enjoy the homestead exemption, you must be domiciled in Florida for 730 days prior to filing your bankruptcy petition. “Domicile” is your place of residence with the intent to remain there permanently. If you are not claiming the homestead exemption, you can receive the “wildcard exemption.” This provides you with $4,000 to apply to any piece of property you would like, whether it is your car, a diamond ring, or your favorite china set. Fla. Stat. § 222.25. It exists to allow you to pick and choose what is protected in your bankruptcy because it is important to you. A bankruptcy attorney experienced in wildcard exemptions can assist with this. Although Florida has one of the most generous homestead exemptions, it does have lower exemption amounts than some federal exemptions. Just remember, you cannot choose to use some federal exemptions in Florida; you must use Florida’s exemptions in your bankruptcy case. There are other exemptions you can apply to a wide range of personal property as well. Some examples are motor vehicles, boats, household furnishings, household goods, clothing, appliances, books, crops, musical instruments, jewelry, tools of trade, health aids, life insurance policies, wages, and retirement accounts. The exemptions are categorical and cannot spill over to other items. For example, each person who files bankruptcy in Florida is given $1,000 to protect his or her car. If you and your spouse are filing jointly, you will be given $2,000 towards your cars. So, if you have a car worth only $750, you cannot put the leftover $250 towards protecting more of your jewelry or whatever else you are trying to protect—what you cannot use of the vehicle exemption, you lose. You should consider hiring a Tampa bankruptcy attorney to help structure your case to most effectively use Florida’s exemptions. If you are struggling with debt Florida law advisers may be able to help get a fresh start. Regardless if you need help with Chapter 13 or Chapter 7 we provide legal advice you can trust. We are dedicated to providing effective representation, individualized attention, and affordable fees to our bankruptcy clients. All of our initial consultations are free and convenient payment plans are always available. Call us now at 800 990 7763 to speak with a Tampa bankruptcy lawyer.